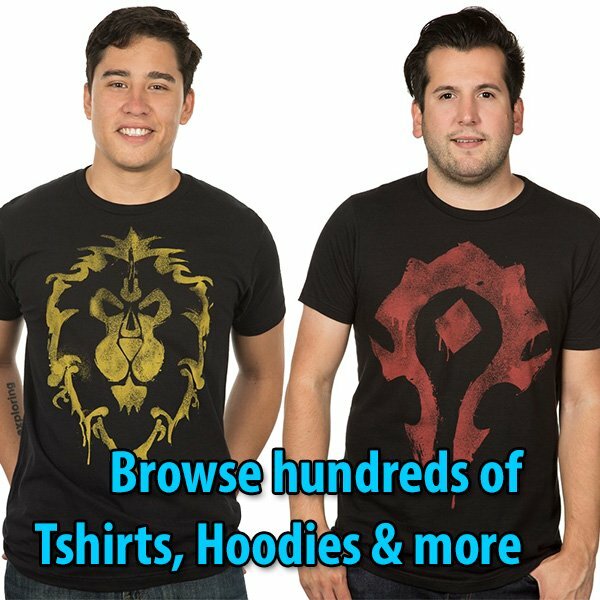 A little bit off-topic from Blizzard Entertainment matters, but Warcraft is also about pop culture references and easter eggs — and well, I am an avid Marvel Comics reader the past 20 years, and watched the cartoons since the 80s too. So there is that. In order to understand The Infinity War, you need to understand who Thanos is. This is not particularly explained in this movie, but because of that fact, I can give you a brief background about who he is from my personal knowledge reading the Marvel comics. For that I have to start at the very beginning of history. The same way you know in World of Warcraft that everything started with Elune and The Pantheon, in Marvel there was the big bang that created the universe after the previous one ended. Galactus is from the previous universe, for instance. In this new universe, the Celestials seeded worlds and experimented on native races. In the case of Earth, when the Celestials arrived, they experimented on primitive ape-men. Their experimentation resulted in three variants: Humans, Superhumans (Eternals), and Deviants. If you want to learn more about the Deviants, search about Lemuria (the ancient city of the deviants) and Hyperboria. The Eternals evolved into god-like superhumans, and became a technological advanced civilization. An off-shoot of them, left to the stars and built a society in one of Saturn’s moons: Titan. In time, among the founding colonists of Titan, Mentor and Sui-San had a son named Thanos. However, something was wrong. The baby didn’t look superhuman at all. He was grotesque. A deviant syndrome or mutation. Same kind of Deviant mentioned earlier who look like monsters. Basically, the Celestials experiment evolved humanity into superhumans, and devolved others into their more animalistic and monstrous version. For whatever reason, Thanos was born with a deviant mutation. The first act of his mother, seeing him, she tried to bury a knive into him to kill him. Mentor stopped her, but the baby remembered. 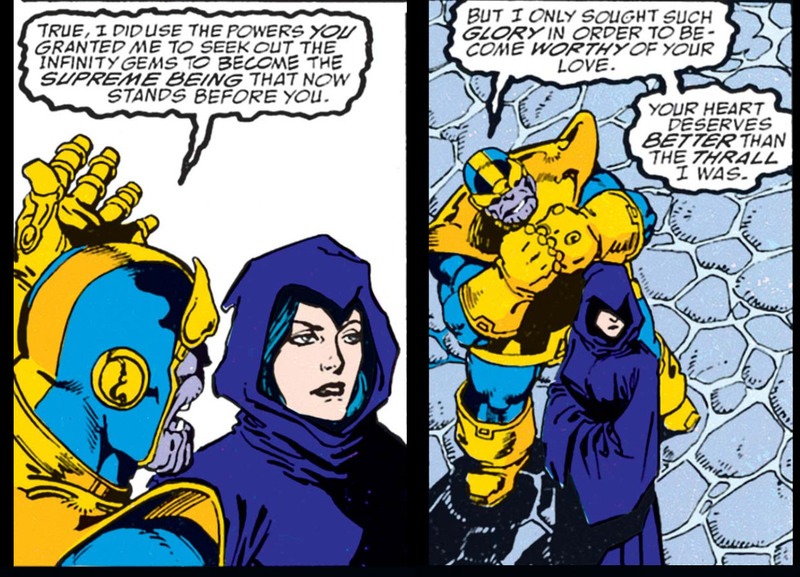 A fact that is not even mentioned in the movies is that Thanos has a obsession with pleasing Mistress Death — custodian of the Realm of Death. Mistress Death is an entity in the Marvel Comics represented as a hooded skeleton, which takes the form of a beautiful woman (sometimes). Thanos is nihilistic, devoid of emotion, but at the same time self-doubts, and internally he is very passionate and emotional. He is a constant contradiction. Or maybe he is too human. 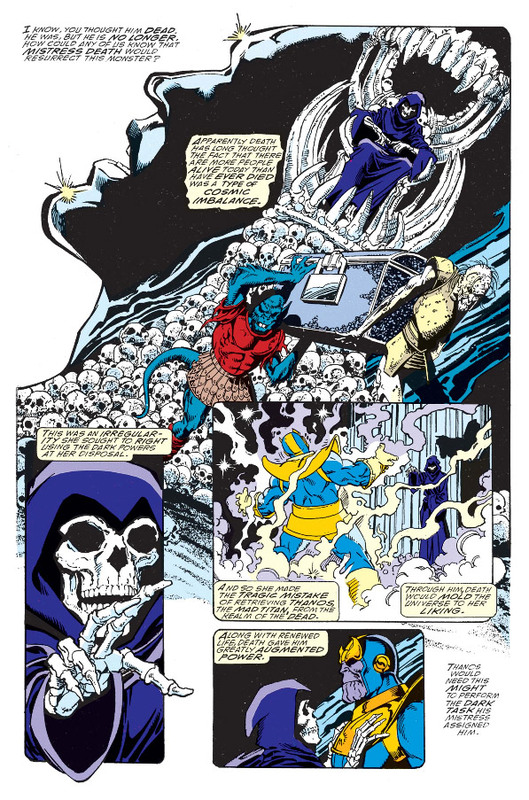 As his first act to grace himself before Mistress Death, Thanos killed his own mother. Then destroyed most of Titan. He spared his father Mentor and his brother Eros (aka Starfox). 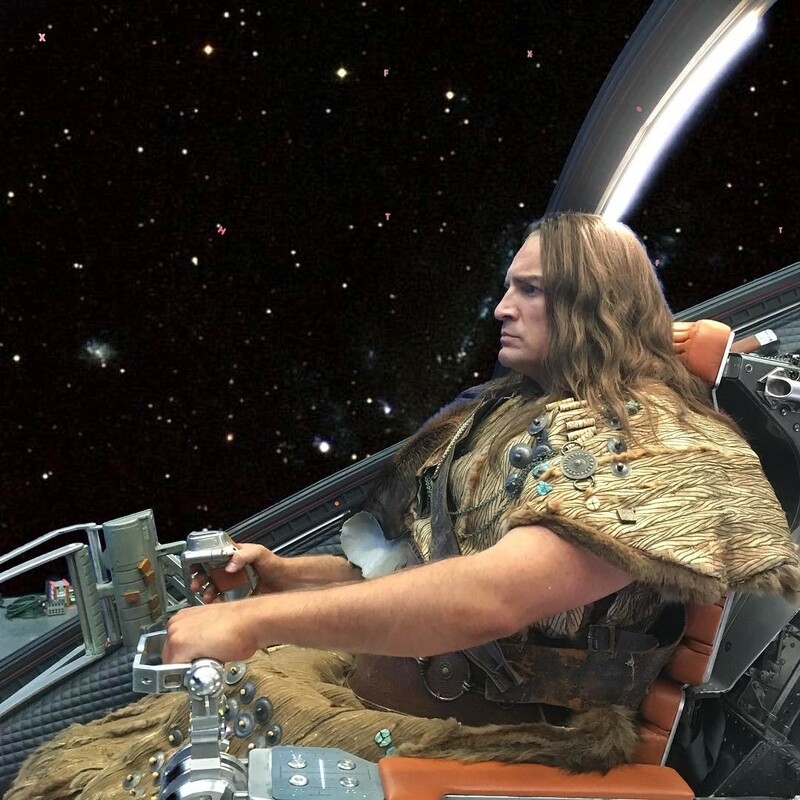 From that moment forth, he traveled the stars decimating worlds, and leaving half their civilizations alive. In the film, Mistress Death is never mentioned as the catalyst of his crusade to purge half of the universe’s inhabitants — which I think is a mistake. But now you know. Part superhuman, Thanos has super-strength and is immune and invulnerable to almost anything, making him among the few most powerful beings in the universe. He’s tackled Galactus, the Celestials, and even the Elders of the Universe — in the comics. 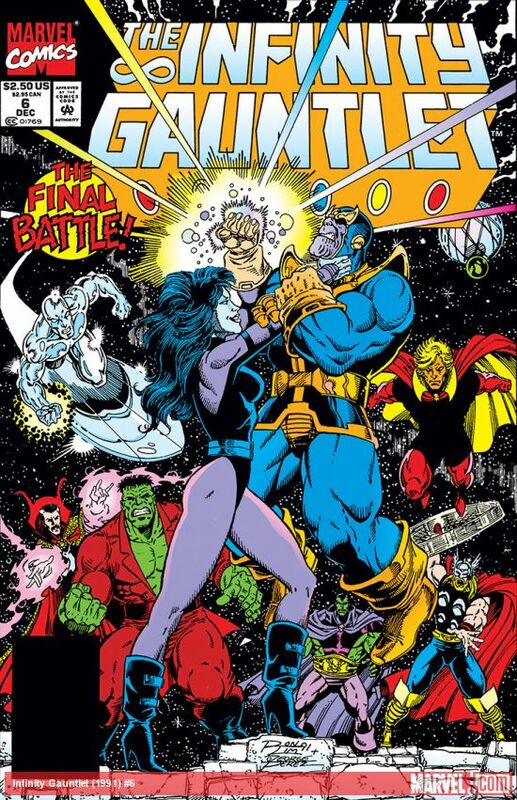 The film Infinity War is actually based on the 6-issue event The Infinity Gauntlet — published in july 1991. 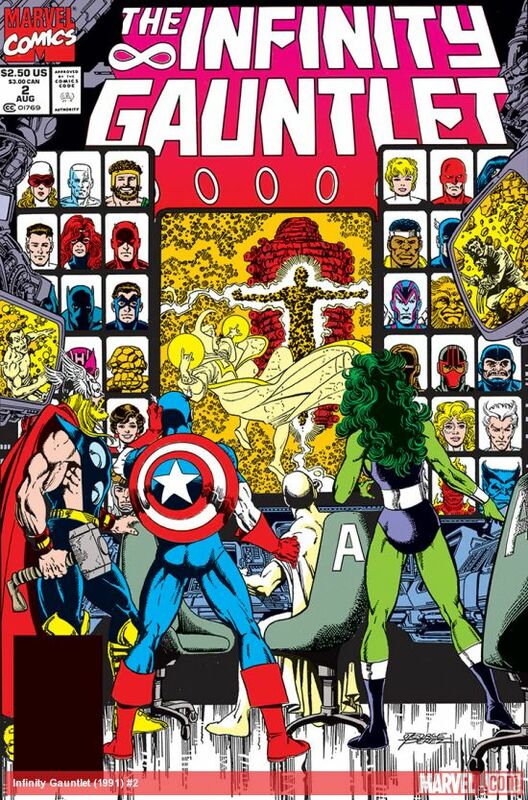 It was so successful, there were more Infinity events: the second one was titled Infinity War (which has nothing to do with the film, except it featured Thanos and the Infinity gems, but with a different story than Infinity Gauntlet). The third event was Infinity Crusade. I read them all ages ago in the late 90s. Avengers: Infinity War was a blast with a lot of humor moments with Thor and the Guardians of the Galaxy, as well as Spiderman, Doctor Strange, and Ironman, and the rest of the team. There was a lot of action, and the battle scenes were chaotic, and complex. Especially, battles between real actors versus CGI. Guardians of the Galaxy: Star-lord, Gamora, Rocket Raccoon, Groot, Drax, and Mantis. The brothers Russo made a really huge assembly of scripts to tie all the past Marvel Cinematic Universe’s films in such a way that the whole Phase 1-3 led to Avengers: Infinity War. It’s been 6 years (in-film) since the invasion of New York by the Chitauri. Loki and the Chitauri were sent by Thanos expressly to gather the first Infinity Gem. Each of the hero movies have been one way or another about each of the six Infinity Gems: Time, Space, Mind, Soul, Reality, and Power. The very end of the Infinity War film is going to blow the minds of viewers (comics readers and non-comics readers alike). It also makes clear what the producers want to do for the next Avengers film. So far there is only 2 confirmed movies coming after Infinity War (Captain Marvel; and Ant-Man & the Wasp), and there are many more scheduled by year post 2020; but without a title. I can see now why. Marvel is preparing to bring even more heroes into the fold beyond Captain Marvel — (Image: Carol Danvers played by Brie Larson). Besides Captain Marvel, Ant-Man and the Wasp — it is crystal clear that the next hero is going to be Adam Warlock. I am predicting at least 3 new heroes will emerge to join the next Avengers film, followed by solo films. Update: During an IGN interview (May 2017), James Gunn said he regrets adding the cocoon as an easter egg in Guardians of the Galaxy. It was only an easter egg. In Guardians of the Galaxy 2, James Gunn planted the seed for the birth of Adam Warlock. In the comics, Adam Warlock was created by a human organization named the Hive. 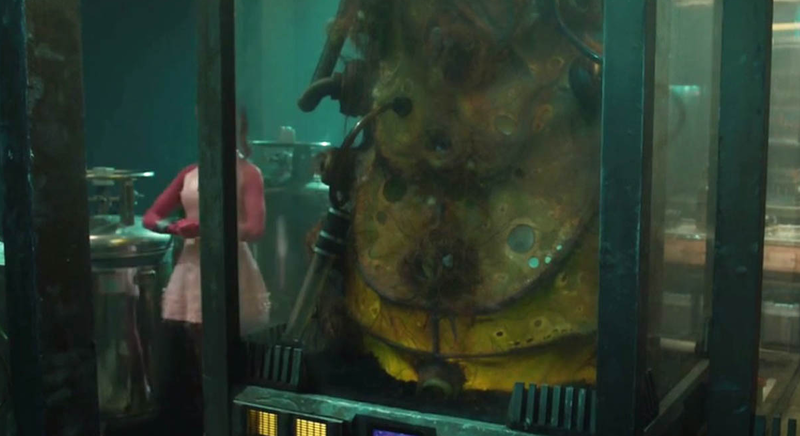 In the Guardians of the Galaxy 2 film, Adam Warlock is created by Ayesha. THIS IS ADAM WARLOCK in the MCU!!! Shortly after it was announced that the producers changed their mind about a Infinity War Part 1 and Part 2, it was revealed by actor Nathan Fillion that his role as Adam Warlock had been edited out from the Infinity War film. This is how he looked like while recording his scene as Adam Warlock. Adam Warlock plays a very powerful role in the Infinity Gauntlet event, and subsequent events involving the Infinity Gems. He is not alive per se. He is some sort of technologically advanced android with emotions and a soul. Similar to Vision, but more advanced, I’d say. Originally, the producers wanted to make Infinity War (Part 1) and Infinity War (Part 2). However, around last year they decided not to go that route, and instead made a single Infinity War, but definitely with the purpose to do a continuation — possibly under a different title — and this is more than evident in the final 2 minutes of the film. Massive cliffhanger that shocked everyone in the cinema. This is far from over. I am going to tell you this because I know you will come out of that cinema the same way that the people in mine did. 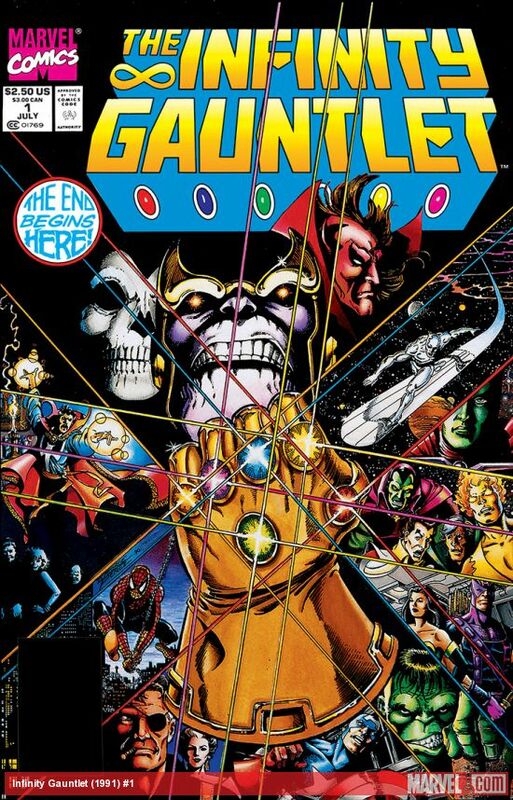 If you have never read The Infinity Gauntlet event from the comics, you will be frustrated, and annoyed by the end of the film. There is a reason. A clever, and risky one. The pay off of what you will see there at the end is that it kickstarts Phase 2 of the Marvel Cinematic Universe. The introduction of new Marvel Heroes into the MCU, to introduce the building blocks that will resolve what happened at the end of Infinity War. However, there is more. 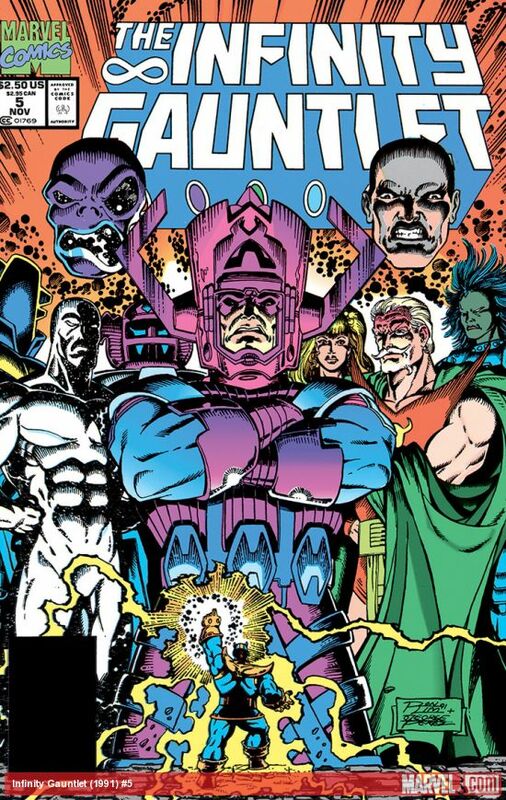 Now that Disney acquired Fox/20th Century, all the film copyrights of the X-Men, Fantastic Four, Namor, Silver Surfer, Dr. Doom, Galactus, and all their villains are now part of the Marvel Cinematic Universe umbrella. The future of the MCU is brighter than ever, and the possibilities are jaw-dropping and exciting. More events will come from Comic Books to the MCU — especially with Captain Marvel coming this year to the cinemas. 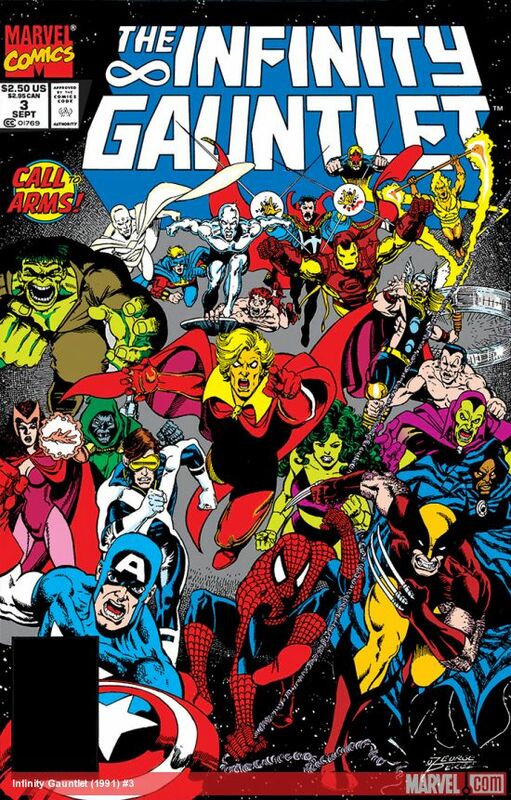 Set in the 1990s, that film introduces the Skrulls into the MCU. This is the image shown at San Diego Comic Con 2017. 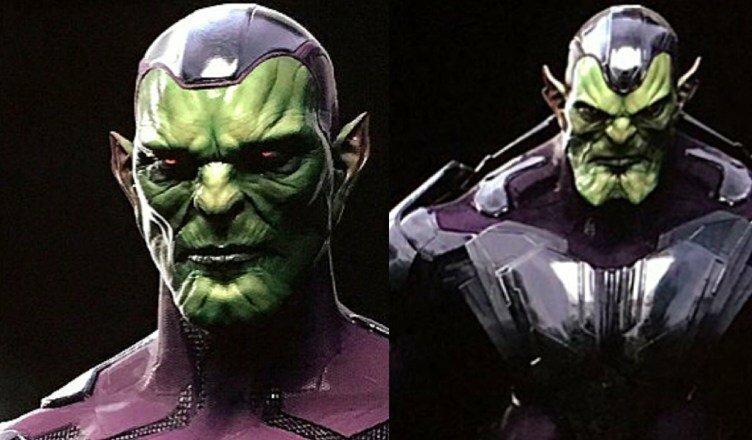 A skrull concept art for the Captain Marvel film (slated for March 8, 2019). 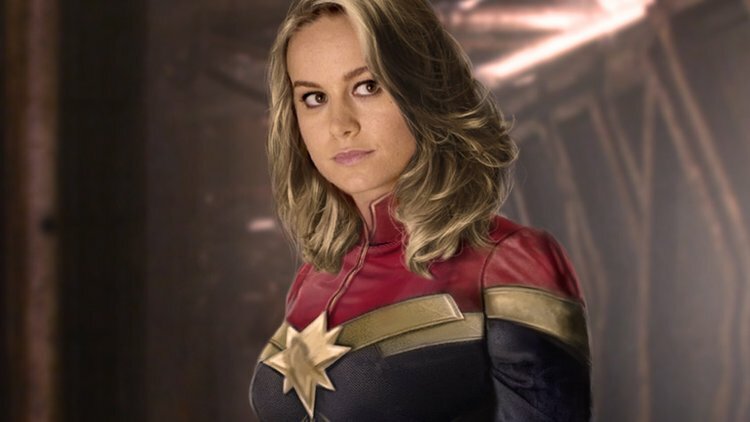 The fact the Captain Marvel film starts in the 90s, means only one thing. Marvel is bringing Secret Invasion to the MCU, and that’s gonna be a shocker. Who is who? Who do you trust? Who is an alien impostor posing as one of our heroes for the past 3 decades? I’ll leave you with that to research. 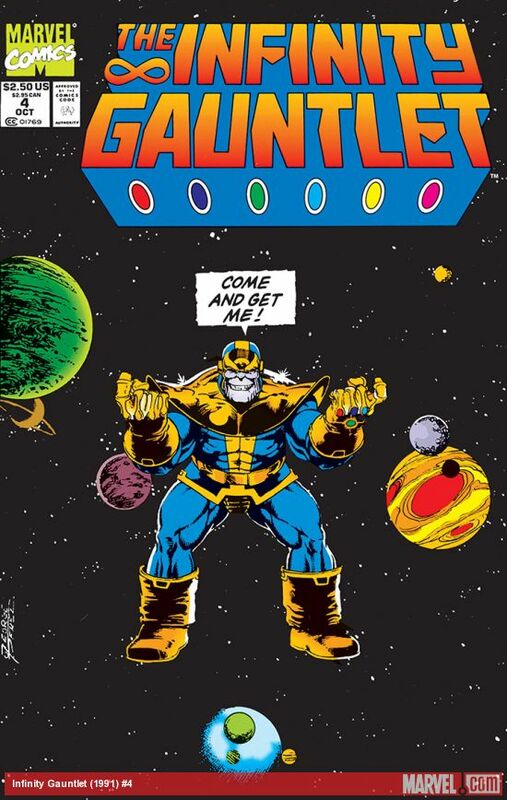 For now, I recommend to read The Infinity Gauntlet 6-issue event. It will cost you a bit to subscribe for one month to the Marvel Unlimited website, but it grants you access to read thousands of comics for a flat monthly price. Even if you pay it for 1-month, you can read at least The Infinity Gauntlet at the following page. You can subscribe to Marvel Unlimited here. Once you have read the 6-issue event, you will come into the cinema with so much understanding of what truly happened at the end. Your frustration will be mitigated looking into a brighter future of the MCU, and what it all entails for the MCU’s Phase 4. Did I get angry at what happened at the end of Avengers: Infinity War… that massive cliffhanger? I did. At first. The first 5 seconds after it sunk in. Then memory kicked in. I remembered what I read in The infinity Gauntlet # 1 in the comics. Then it all made sense, and thus the Phase 4 plan unfolded before my eyes as my brain’s psynapses started to fire up with the myriad of possibilities based on everything I watched in the Avengers: The Infinity War film. Suggestion: Stay until the credits end. What you will see there will make you want to watch what comes next.